Visited and photographed by Julian Hall, Friends of the Penlands, 14th October 2008. 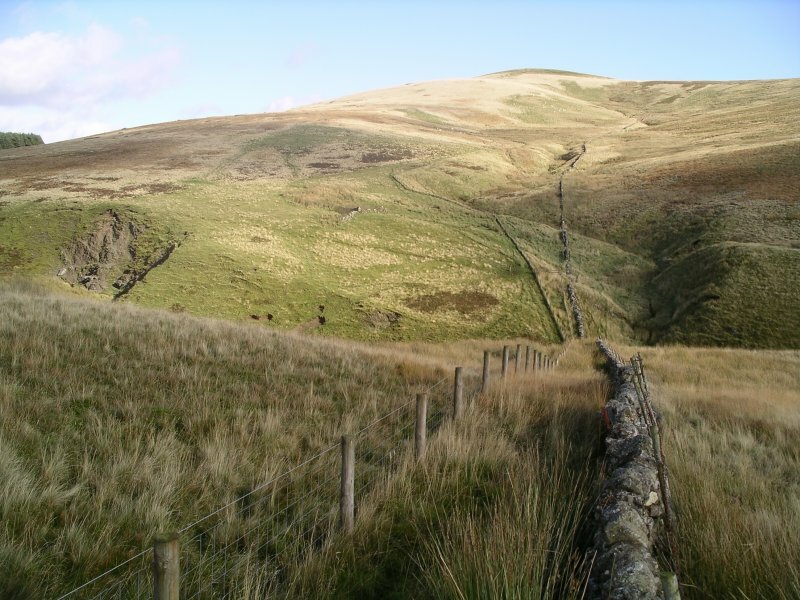 Follow-up historical research undertaken by SRP Pentland Hills, October 2008 - June 2010. Gutterford is a small isolated dwelling or “cot house” built before 1812 and situated close to the boundary between Westside and Spittal Farms on a grassy terrace at the junction of a small unnamed stream and the Gutterford Burn. The building measures c3m x c6-7m internally with dry-stone walls built of roughly shaped rubble blocks that stand up to 1m high. 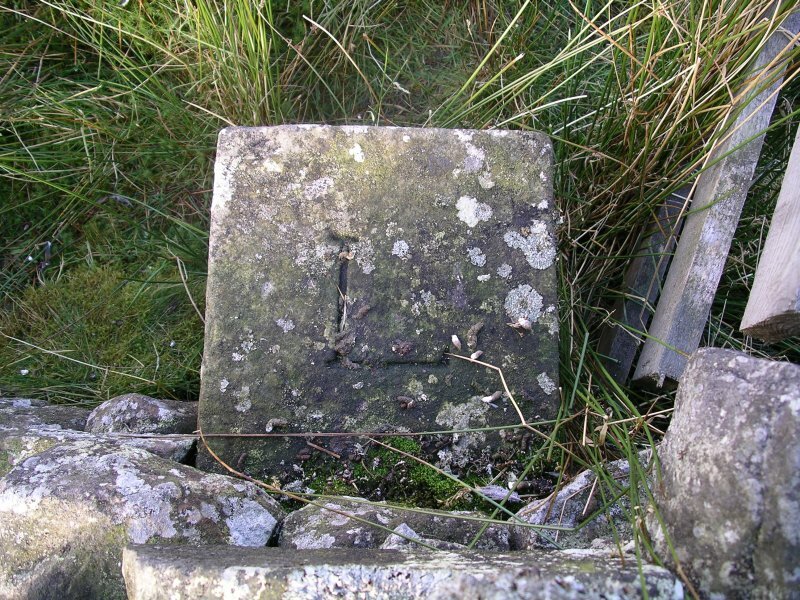 Stones from the building appear to have been robbed to build a small pen which abuts its SE wall and a shelter wall which extends from its SW corner in a W direction for c8m. The modern Ordnance Survey map depicts the site as a ‘sheep shelter’ and the building appears to have been remodelled for this purpose. In addition to these changes, there is significant collapse in the N wall and the interior of the building contains rubble and nettles. 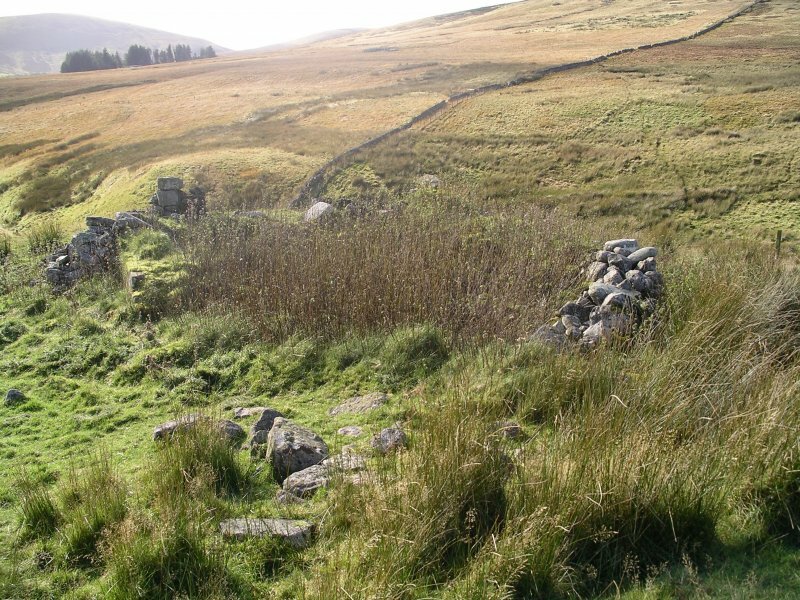 The building lies just to the W of a widely spread grassy bank which forms a large sub-rectangular enclosure, c75m x c50m, whose S boundary is formed by the unnamed stream. On the hillside above (N of) the enclosure, aerial photographs show the remnants of widely spaced parallel drainage ditches, or possibly early rig and furrow, which are c20m wide and run down-slope in a NE – SW direction, terminating at the enclosure bank. It is not clear whether the enclosure bank overlies the ditches/rigs or whether they respect the boundary. Aerial photographs also show a possible rectangular building, c16m x c6m, lying within the rigged area, c150m WNW of the building/sheep shelter (NT 16141 59445) and the footings of a circular structure c16m in diameter, possibly a turf sheep stell, lying a further 80m to the NW (NT 16198 59518). The name of this site appears as "Gutterfoot" on James Knox’s ‘Map of the Shire of Edinburgh’ (1812-16), John Thomson’s map of ‘Edinburgh Shire’ (1820), and in the 1841 census, when it was occupied by Thomas Murray (b c1821), Agricultural Labourer, and his sister Helen. The rest of their family lived in Westside Farm where the head of the family was David Murray, farmer. By 1851 Thomas was married and living in Westside farming 1000 acres, but Gutterford/Gutterfoot does not appear in that or subsequent censuses. 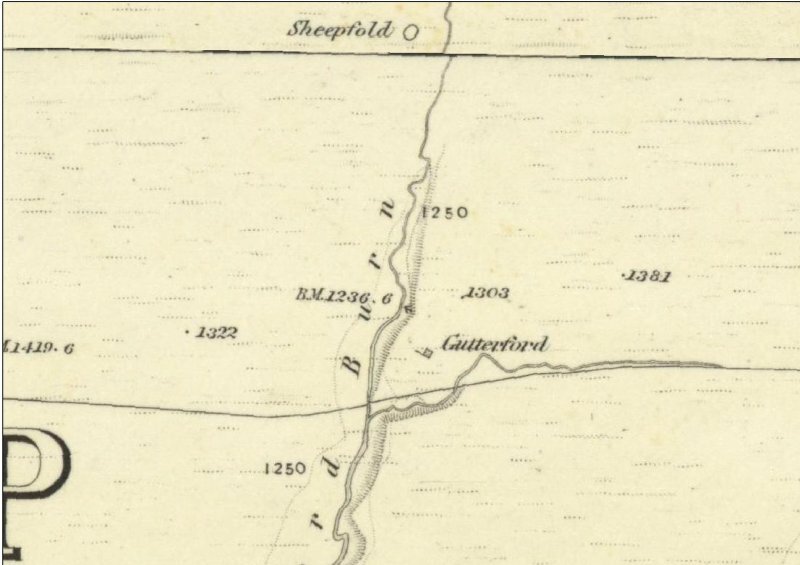 The 1st Edition of the Ordnance Survey 6-inch map (1853) depicts a small square roofed building called Gutterford and although described in the associated Namebook as a small thatched Cot house upon the farm of Westside, it was probably no longer occupied and had become a roofed shelter or store by that time. Gutterford shares several interesting elements in common with other small sites in the SW Pentland Range, in particular its distance from the home farm and its close proximity to the farm boundary. 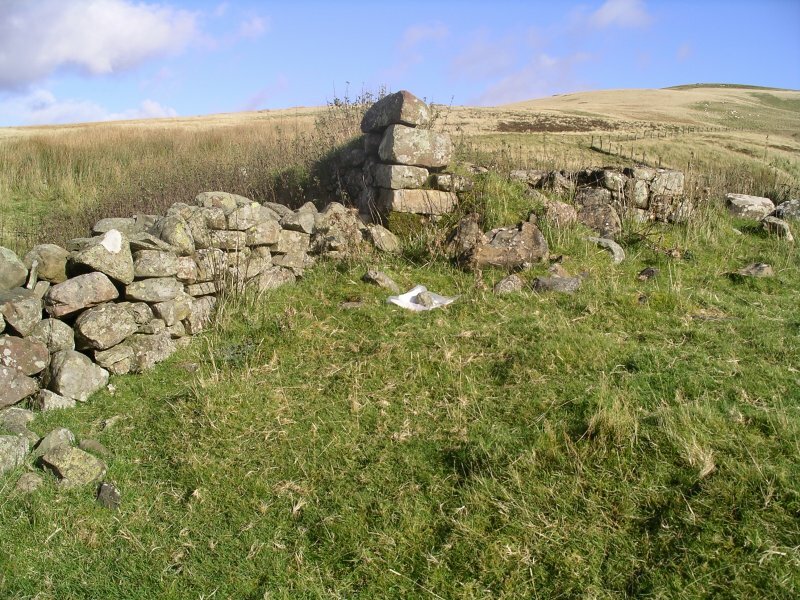 The cot house of Back Spittal NT15NE 25 (abandoned pre 1841) belonging to Spittal farm also lies on its farm boundary and Hare Hill House NT16SE 18, a cot house shown on the Knox County Map on Eastside farm, sits on the Logan Burn close to its northern boundary with Bavelaw. Thrashiedean NT 12124 61054 (shown as Rushie Dean on the Knox County map) has not been included in this project, but is described in the OS Namebook as a cot house of Harperrig Farm and is situated on the Dean Burn boundary between Harperrig and Bavelaw estates, while Saltersyke NT15NE 57 (shown as Satyrsyke on the Knox County Map), a cot house of Braidwood originally built c.1681 as a sub-tenant’s house, lies close to the boundary with Eastfield farm. The small house and rig on Fala Knowe NT 2138 6160, depicted on the Logan Estate map (1801/1840) and the enclosure and lazy beds beside Grain Burn NT26SW 46, both situated alongside the Logan estate boundary, were probably similar sites and since neither is described in the OS Namebook this suggests their identities had been lost many years prior to that date. Most, perhaps all, these sites were in existence in the early 1800s and appear to form a pattern of dispersed individual satellite dwellings established on boundaries of large farm holdings and at a considerable distance from the main farmhouse. 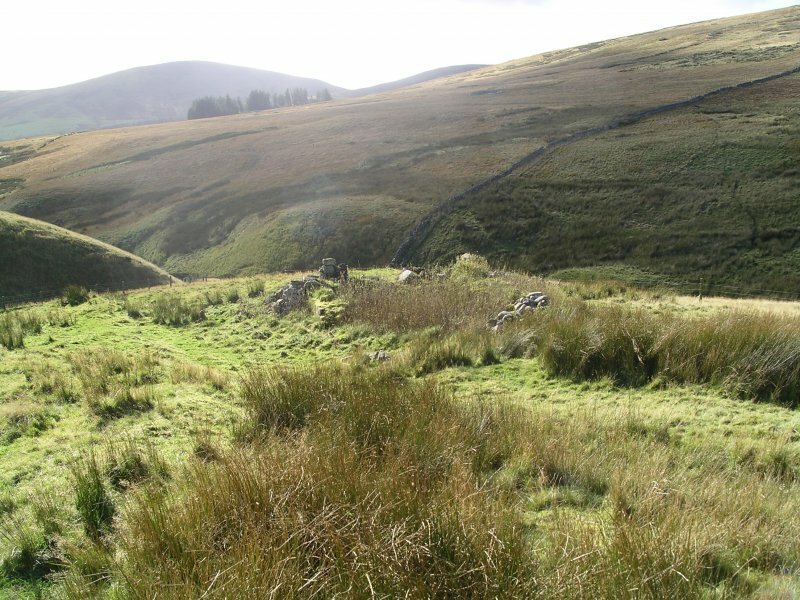 They do not seem to be related to the small close-knit pre-Improvement townships, nor are they part of a sheiling system, and any associated cultivation seems to be small-scale self sufficiency rather than large scale expansion into unfarmed moorland. They are therefore probably part of the 18th century Lothian landscape of large farms managed by a single tenant and his retainers referred to by James E Handley in ‘Scottish Farming in the Eighteenth century’ (1953, p50). These small individual dwellings may only be shepherds’ houses but even so they emphasise the importance of the sheep farming economy in the Pentland Hills throughout the Agricultural Improvement period and provide structural evidence for dwellings of a group of workers whose presence is usually only recorded in tenancies by a vague general reference. 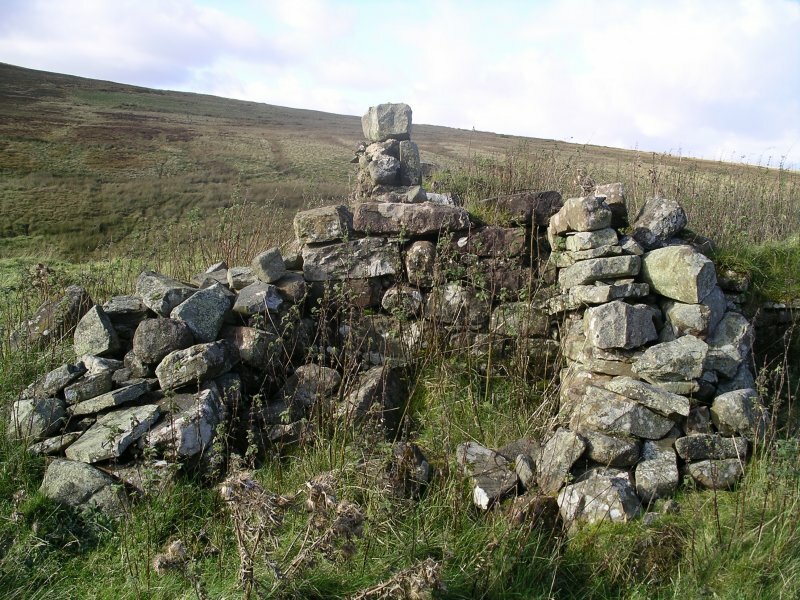 The site was visited and photographed by Julian Hall of Friends of the Pentlands, 14 October 2008, who kindly allowed SRP Pentland Hills group to use his description and photographs to prepare this site record, June 2010.